On July 22, 1860, Jean Pierre Goytino was born in the village of Ainhoa, Lapurdi. He went on to emigrate to the United States and found the weekly newspaper California’ko Eskual Herria in 1893. It was published every Saturday and had subscribers throughout the American West, Latin America, and even back in the Basque Country. It ceased publication in 1898 and Goytino died in 1920. On July 8, 2014, at 11 pm the Begoña Elevator, an iconic feature of the late twentieth-century Bilbao cityscape, ceased to function after nearly seventy years of service. The walkway at the top of the Begoña Elevator. Photo by Zarateman. Courtesy of Wikimedia Commons. In the 1940s, Begoña–once a separate town but incorporated by Bilbao in 1925 as part of its major growth in the twentieth century–was a neighborhood in expansion. Yet despite its geographic proximity to the city center, it remained disconnected on account of the steep hill one had to navigate between the two districts. A project was thus conceived to link Begoña to downtown Bilbao precisely at the point of what was known at the time as Bilbao Aduana train station (later San Nicolás, and currently the Zazpikaleak/Casco Viejo Euskotren-Metro Bilbao intermodal station). Viewing area at the top of the elevator. Photo by Bachelot Pierre J-P. Courtesy of Wikimedia Commons. Designed by architect Rafael Fontán, the biggest challenge was to insert a significant structure into an already congested cityscape. He achieved this by taking an existing building as its base and as regards the actual design of the elevator, he opted for a stark modernist structure, in contrast to the older surrounding buildings; this decision, to contrast so starkly the new structure from the vicinity, arguably ultimately contributed to creating its iconic status–at least as regards form–quickly becoming one of the city’s emblematic structures. Begoña Elevator from Itxaropen/Esperanza Street. Photo by Zarateman. Courtesy of Wikimedia Commons. It was made out of reinforced concrete and included a walkway and enclosed vantage point over the city at the Begoña entrance, lending the structure a machine-like form in appearance. In this sense, it resembled an architectural model developed in Switzerland during the early twentieth century. When finished, it came to measure 150 feet in height and immediately stood out in the Bilbao cityscape. It was inaugurated in 1947 and served generations of bilbaínos but it began to lose customers in the 1990s, with the construction of the Bilbao metro and a competing elevator as well as other elevators and escalators that were constructed to link the city center to the hillier surrounding neighborhoods. The structure remains in place, however, and there is much debate over what could be done with this iconic physical testament to an important part of Bilbao’s recent history. If architecture is your thing, check out Building Time: The Relatus in Frank Gehry’s Architecture by Iñaki Begiristain, a fascinating work that examines Gehry’s buildings as a kind of narrative. More general urban studies published by the Center include That Old Bilbao Moon: The Passion and Resurrection of a City by Joseba Zulaika; Building the Basque City: The Political Economy of Nation-Building by Nagore Calvo Mendizabal; and Transforming Cities: Opportunities and Challenges of Urban Regeneration in the Basque Country, edited by Arantxa Rodríguez and Joseba Juaristi. What’s more, Learning from the Bilbao Guggenheim, edited by Anna Maria Guasch and Joseba Zulaika, is available free to download here. On July 5, 1846 Zoel García de Galdeano y Yanguas was born in Pamplona-Iruñea. In later life, he came to be regarded as a champion of modernizing mathematics in the Spanish state according to the latest developments in Europe and beyond. After García de Galdeano’s father was killed while on active service in the Spanish military, he was raised by his maternal grandfather José Yanguas y Miranda (1782-1863), a historian, jurist, and well-known figure in Navarrese political life in the first half of the nineteenth century, promoting a kind of pro-foral liberalism. The young García de Galdeano was thus raised in a learning environment receptive to new ideas. In 1871 he obtained his doctorate and thereafter began a lengthy professional journey teaching math at several high schools throughout the Spanish state as well as promoting the so-called free institutes (experimental secular high schools that emphasized liberal values such as civic responsibility and modernization in its various guises). At the same time, he published voraciously with the aim of introducing the latest European mathematical currents into the peninsula. Finally, in 1889 he obtained a tenured professorship in analytical geometry at his alma mater, the University of Zaragoza, where he worked until his retirement in 1918. 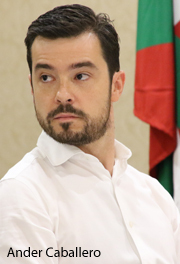 Once established at the university level, he began lobbying to provide more adequate networks and platforms for sharing and disseminating mathematical knowledge. In 1891 he founded El Progreso Matemático (Mathematical Progress), the first strictly mathematical journal published in Spain; and he was the first mathematician in the state to begin attending international conferences on a regular basis. Most significantly, García de Galdeano was present at the famous 1900 speech of influential German mathematician David Hilbert at the Sorbonne in Paris, in which he posed a set of problems that to a large extent came to define the direction of the discipline through the twentieth century. Moreover, he was one of the main figures behind the creation of the Spanish Mathematics Society in 1911, and became its president in 1916. He died in Zaragoza in 1924, having played a critical role in modernizing the study of mathematics in the peninsula. And they rained down fire, shrapnel and death on us. And they destroyed our town. And that night we couldn’t go back home for our supper, or sleep in our beds. We had no home anymore. We had no house. But that event, which was so incomprehensible to us, left no feelings of hate or vengeance in us—only a huge, immense desire for peace, and for such events never to happen again. A flag of peace should rise up from the ruins of what was our town for all the peoples of the world. 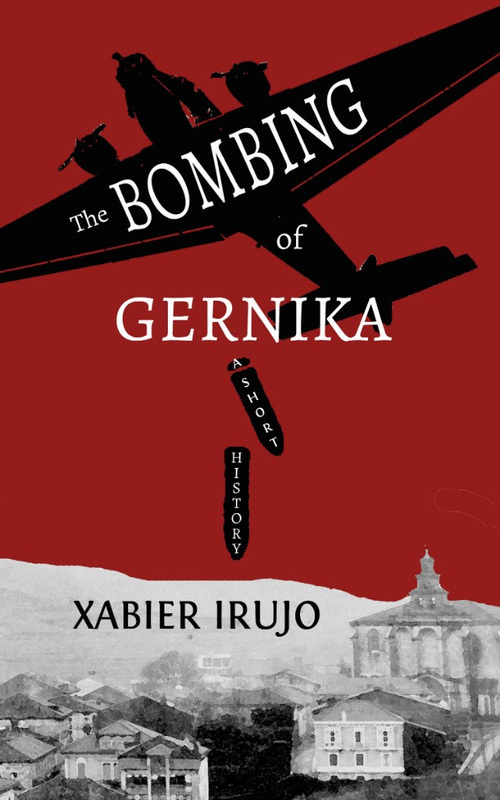 Few events in the history of the world have aroused the passions of the decent, the fair, the peaceful, and the just as much as the brutal terror bombing attack on the Basque town of Gernika. From the decision of the fascist forces to attack the open city, to the horror of the bombing, to its aftermath, this short, readable history by a foremost expert tells the terrible events that colored not only the modern history of the Basques, but of all of humanity as it ushered in a new age of warfare. .War, Exile, Justice, and Everyday Life, 1936–1946, edited by Sandra Ott, demonstrates the impact of warfare on regular people in an intense decade that left a lasting social and political impression on the Basque Country, particularly in creating the category of Basque refugees. Furthermore, David Lyon’s Bitter Justice focuses on other casualties of war: Basque prisoners during the Civil War and the early years of the Franco regime while Cameron J. Watson’s Basque Nationalism and Political Violence explores the roots of ETA within the historical trajectory of the violence endemic to modern Spain and the conflict between Spanish and Basque nationalism. Finally, the Center has also published contributions to understanding the twin themes of war and violence from the perspective of Basque literature. The Red Notebook, by Arantxa Urretabizkaia, is a groundbreaking novel that explores the tension between political commitment and motherhood on the part of its main character. And the literary anthology Our Wars: Short Fiction on Basque Conflicts, edited by Mikel Ayerbe Sudupe, serves as a wonderful platform for considering just how much Basque authors have reflected on the impact of war and conflict on Basque society from the Civil War down to the present.